Hip-hop star Dr. Dre and music mogul Jimmy Iovine are donating $70 million to USC for a new academy that they say will give students the tools they need to break into the rapidly changing music industry. "The vision and generosity of Jimmy Iovine and Andre Young will profoundly influence the way all of us perceive and experience artistic media," USC President C.L. Max Nikias said in a statement. "Our goal is to ensure that the academy is the most collaborative educational program in the world." The four-year program will feature four core curriculum areas: arts and entrepreneurship; technology, design and marketability; concept and business platform; and creating a prototype. It aims to foster entrepreneurship that brings students' entertainment, technology and business skills into play. Instruction will involve engineering, computer science, fine arts, graphic design, business and leadership training. That training will come from faculty at USC's Thornton School of Music, Roski School of Fine Arts, Marshall School of Business and Viterbi School of Engineering, as well as "industry icons and innovators as visiting faculty and guest speakers," according to USC's statement. "Academy students will have the freedom to move easily from classroom to lab, from studio to workshop individually or in groups, and blow past any academic or structural barriers to spontaneous creativity," Erica Muhl, dean of the fine arts school, said in a statement. Muhl will serve as the first director of the new academy. The outline of the program appears to create an academic counterpart to the street-smart path Iovine and Young have traveled in building their careers. As Dr. Dre, Young first came to fame as a member of the Compton hard-core rap group N.W.A and went on to become one of hip-hop's most respected performers and producers, mentoring Eminem as well as 50 Cent, the Game and other rappers. Before Iovine founded Interscope Records in 1990, he also was an in-demand producer and engineer for hit recordings by John Lennon, Bruce Springsteen and other rock and pop acts. At Interscope, which became Interscope Geffen A&M Records, of which he is now chairman, Iovine has been at the helm of the label behind such music-world successes as U2, the Black Eyed Peas and Lady Gaga. Iovine remains a co-owner of Interscope with its parent company, Universal Music Group. When Dre asked Iovine several years ago whether he should endorse a line of high-end athletic shoes, Iovine famously replied, "Speakers — not sneakers." That led them to create the Beats by Dr. Dre line of headphones that now accounts for more than half the consumer market for high-end headphones. Their Santa Monica-based Beats Electronics company has since expanded with the Dre Beats laptop, high-quality ear buds, speakers for car stereo systems and other products. The company's annual sales in 2011 were $500 million. Forbes put Dre's current net worth at $350 million, ranking him third — behind Sean "Diddy" Combs and Jay-Z — on the magazine's 2013 list of the wealthiest hip-hop stars. Celebrity NetWorth puts Iovine, a regular guest judge in recent seasons of "American Idol," at $700 million. Forbes in 2011 estimated Iovine's net worth at $400 million. USC has a history of cultivating strategic relationships with the entertainment industry and a number of its leading practitioners. In 2009, for example, George Lucas' Lucasfilm Foundation gave $75 million toward construction of new facilities for the USC School of Cinematic Arts, plus $100 million for the school's endowment. Warner Bros., 20th Century Fox and Disney have also donated to the school. 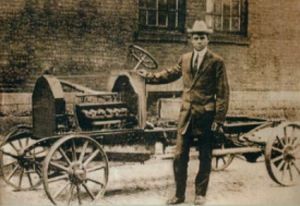 At some point after his arrival in Ohio, Patterson went to work as a blacksmith for the carriage building business, Dines and Simpson. In 1865 he married Josephine Utz, and had five children from 1866 to 1879. In 1873, Patterson went into partnership with J.P. Lowe, another Greenfield-based carriage manufacturer. Over the next twenty years, Patterson and Lowe developed a highly successful carriage-building business. Around 1920, the company reorganized as the Greenfield Bus Body Company but after ten years of steady, if unspectacular growth, the Great Depression sent the company into a downward spiral. Frederick Patterson died in 1932, and the company began to disintegrate in the late 1930s. Around 1938, the company moved to Gallipolis, Ohio, changing its name again to the Gallia Body Company in an attempt to restart its prior success. The attempt failed and the company permanently closed its doors in 1939. Like many other small auto manufacturers, the company was unable to compete with Ford, General Motors, Chrysler, and other large automobile manufacturers.